At last! At bloody last! 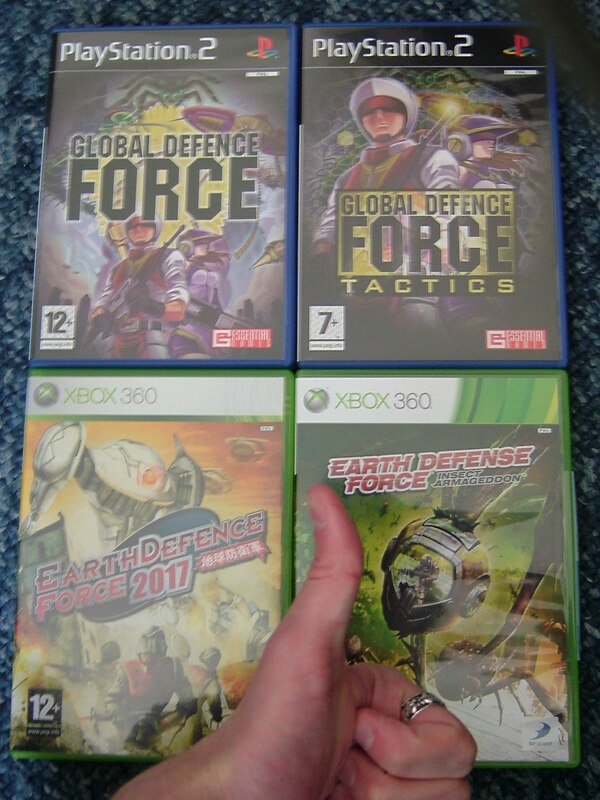 I have my own copy of Earth Defence Force: Insect Armageddon! Would you just look at that little collection. It’s a thing of beauty, right? Anyway, I’m afraid that my Global Defence Force: Tactics review is running a little late (illness, drunkenness, Insect Armageddon; you know) and will be up tomorrow, marking the end of EDF Fortnight. Unless we Euros decide to do a second review of IA, that is. John Detroit waited. The stars above him shined and glitered out of the clouds. There were aliens in the city. He didn’t see them, but had known they were underground and above the sky for years. His warnings to Cernel Joson were not listenend to and now it was too late. Far too late for now, anyway. There was a time when he believed him. Then as he got oldered he stopped. But now in New Detroit he saw the spaceships and he knew there were ants. So John gotted his assault rifle and blew up the spaceship and made it fall down and bugs came out. “I will shoot at him” said the gigantor bau and he shooted sticky web at him. John assaulted at him and tried to bullet him up. But then a skyscraper fell down and they were trapped under rocks and not able to kill. And then John was a spider. … wait what am I doing here reading this. WHILE WE COULD BE EXPLODING BUGS TOGETHER RIGHT NOW.